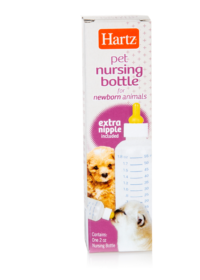 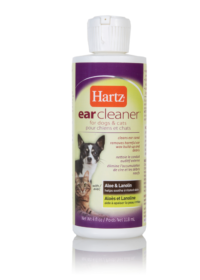 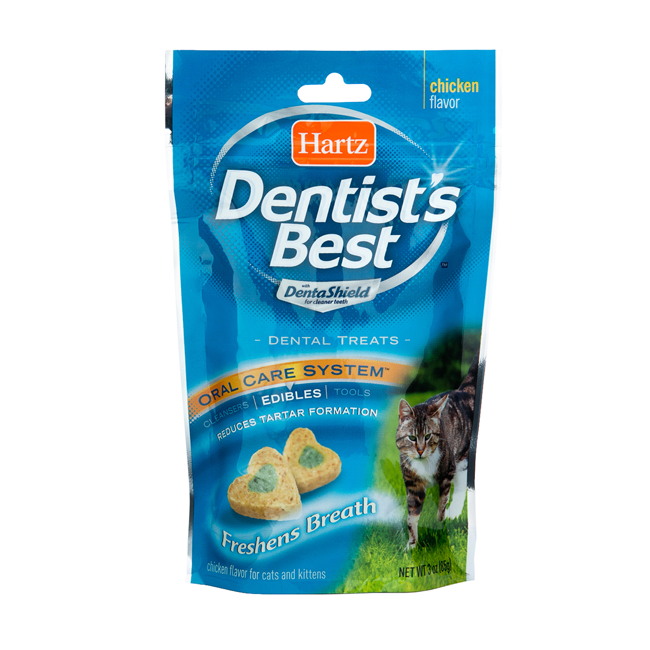 Hartz Dentist’s Best Cat Treats provide a tasty, healthy way to maintain good oral hygiene. 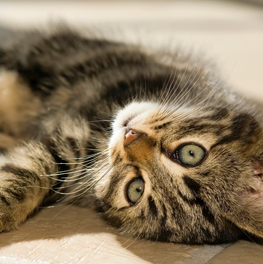 The heart-shaped treats contain two components. 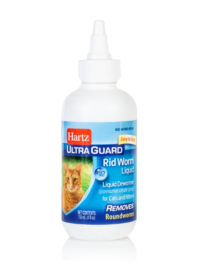 The crunchy texture acts like a toothbrush to scrub away debris left behind after meal time and helps to loosen plaque and tartar. 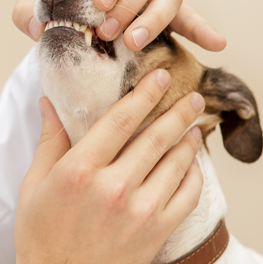 The DentaShield center behaves like toothpaste to help prevent future buildup of plaque and tartar for strong teeth, jaws and gums, and is scientifically proven to reduce the formation of tartar by up to 80%. 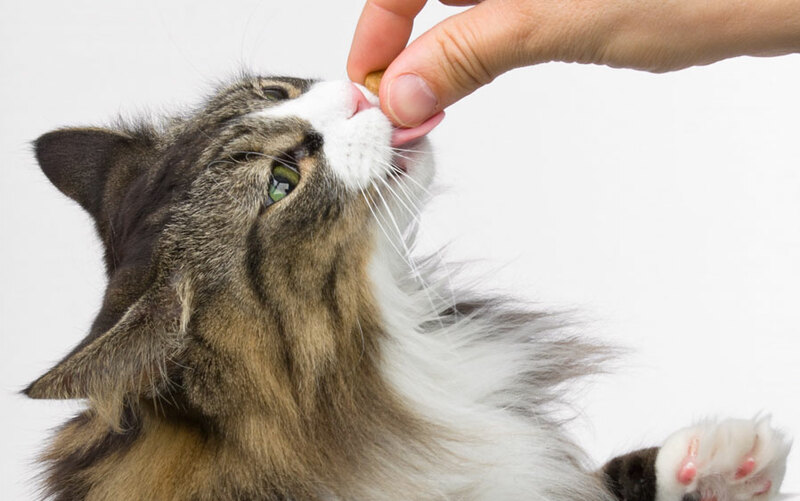 The mouthwatering chicken flavored formula is also low in calories, so it’s perfect for feeding daily to make sure your kitty cleans those pearly whites. 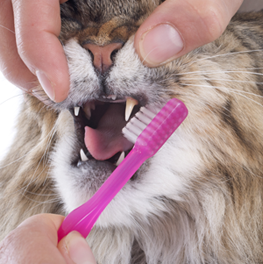 When your cat's teeth are neglected, his overall health will suffer as well.